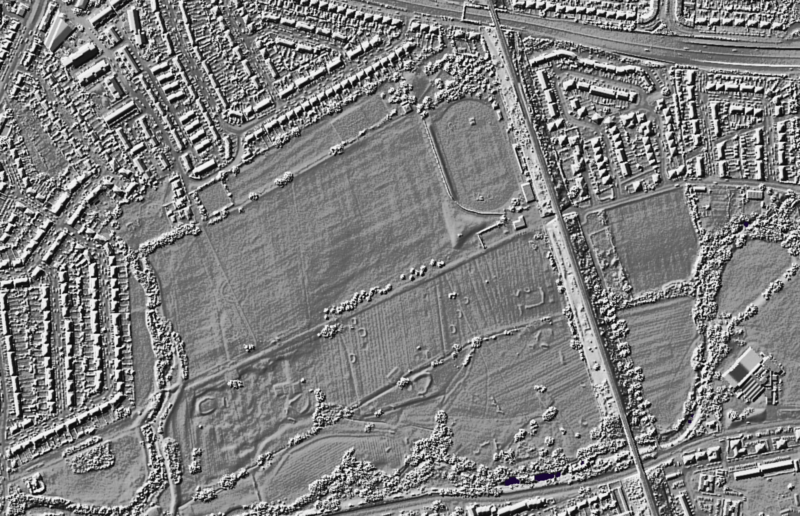 In the enlargement below I have highlighted three features of the park that are no longer visible from the ground. A circular path containing spokes. Could this have been a planted garden of some kind? A pond, perhaps dug as a drinking area for cows? 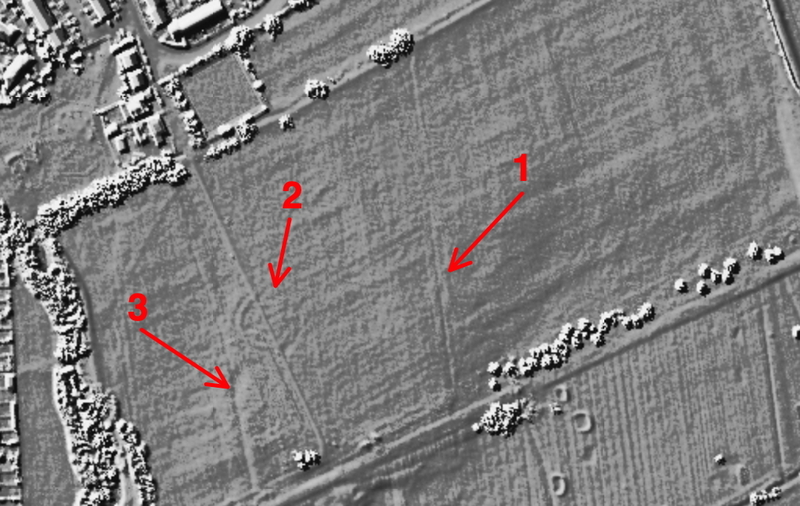 No doubt LIDAR experts would have a better idea of what these artefacts might have been. The park itself was created in the 1930s from farmland, so do the artefacts predate the park or were they introduced as part of the park? If anyone has any ideas, do tell! Previous PostPrevious Trees for Cities Perivale Planting (+ double rainbow as a bonus).